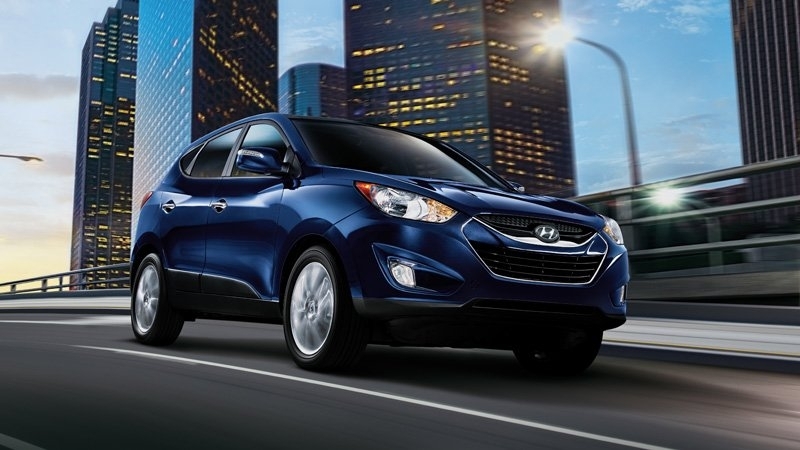 DriverSide Overview For many years, Hyundai has struggled to find its footing in a market populated by inexpensive yet well-built and very reliable vehicles. The reason for this is not the company’s lack of quality – a 10-year/100,000-mile powertrain warranty is proof enough of that – but instead, as the industry becomes dominated by cars that need to be emptied of gas before they quit running, it becomes less of a selling point and more of a standard. 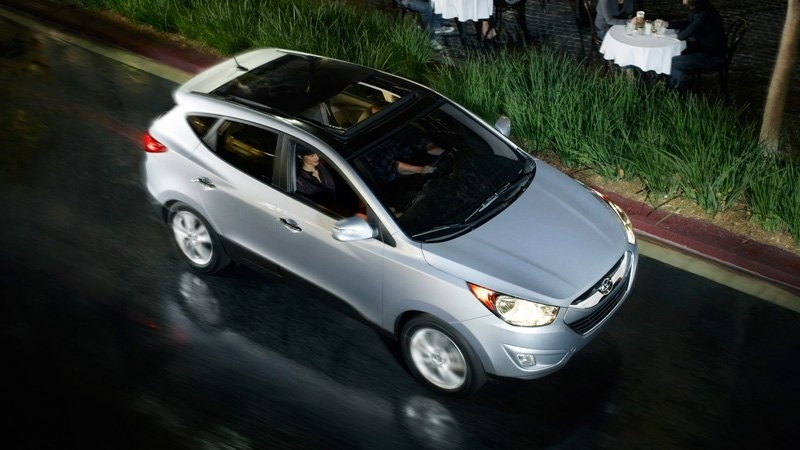 The first Hyundai Tucson was just as purpose built and long lasting as the next small SUV, yet left people shopping for its rivals from better-known automakers like Honda, Toyota and Nissan. 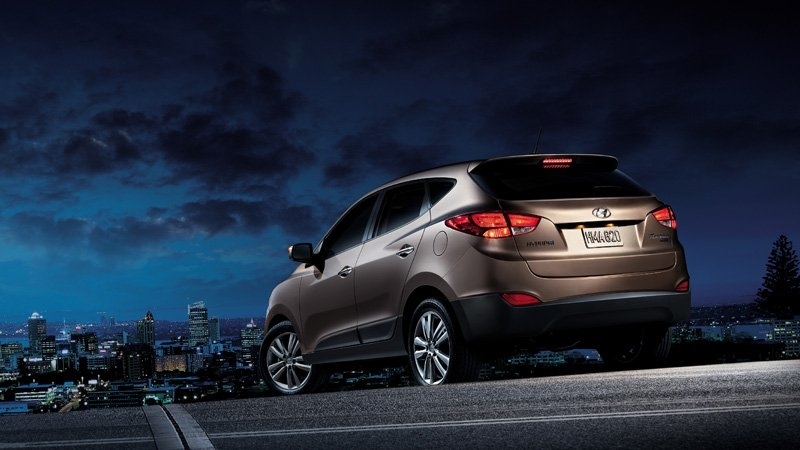 The latest iteration of Hyundai’s crossover SUV makes for a different story. Add an already capable platform to a sharp profile with an elegant interior design, and you’re left with an expressive piece that brings with it the emotion that the previous Tucson lacked. The interior is of the highest quality in its class, with soft-touch plastics, silver accents and a simple center stack layout. An optional panoramic roof is rare in a car in this price range. A lockable center differential and the availability of either a manual or automatic transmission provide more choice for those who wish it. Let’s not forget the 10-year/100,000-mile powertrain warranty. There is not a lot to dislike about this car except for a slightly lacking four-cylinder engine, which is sure to leave some wanting a six-cylinder, à la RAV-4. A somewhat harsh all-wheel drive suspension setup may deter would-be buyers as well. We like both the look and feel of the new Tucson, and the drive is also a big step up from the pervious version. The Tucson more than holds its own against the big boys in the segment, such as the somewhat long-in-the-tooth Toyota RAV-4 and Honda CR-V. Like these two, the Tucson goes for a smooth and quiet ride, a well-balanced feel and a confident command position when driving. While we bemoan the lack of a 6-cylinder (the CR-V doesn’t have one either), the Tucson is more than capable of bringing you, your stuff, some friends and a dog from point A to point B in comfort and style. A V-6 is no longer an option on the new Tucson, but the new 2.4-liter develops more power than the outgoing engine at 176 horsepower and 168 lb-ft of torque. One can choose between either a six-speed manual or automatic transmission, coupled to either front or all-wheel drive, the latter of which will send all power to the front wheels to reduce drag and improve gas mileage, until it detects loss of traction. 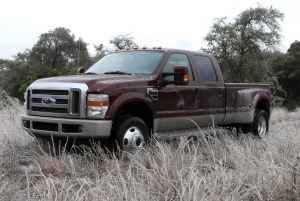 The all-wheel drive system features a lockable center differential when four-wheel traction is needed most. 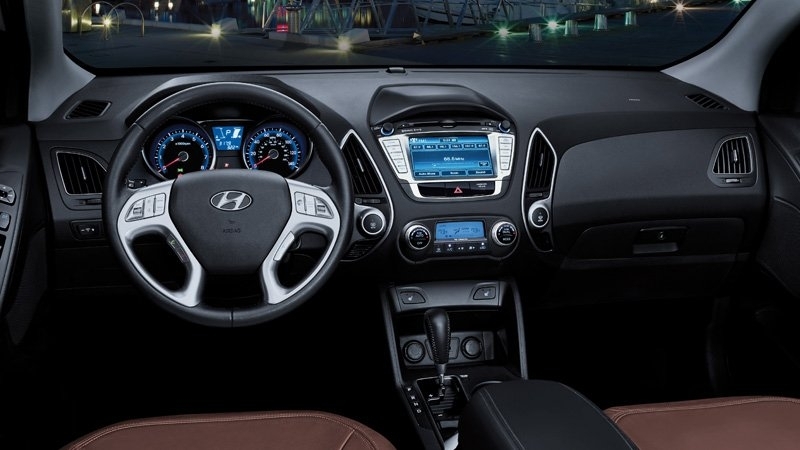 An optional panoramic sunroof makes an already spacious cabin more airy and inviting, while the $1,700 Popular Equipment Package includes all the equipment that is, well, popular, including a leather-wrapped steering wheel and shift knob, Bluetooth connectivity and cruise control. The new Tucson comes with some capable tech features in the Navigation Package, which includes everything from the Popular Equipment Package, as well as a rearview camera, a premium audio system and, of course, navigation. A more efficient four-cylinder engine returns an impressive 23 mpg in the city and 31 mpg on the highway in the front-wheel-drive model. When power is delivered to all four wheels, those numbers drop to 21 mpg in the city, 28 mpg highway. 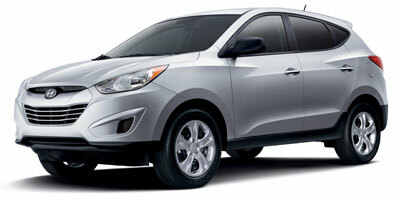 In 2011, the Tucson will be available with a more efficient 2.0-liter ‘Blue’ model. The interior has grown since the last-generation Tucson and provides more legroom front and rear, as well as three more cubic feet of space in the trunk. The cockpit is surrounded in soft-touch plastics, silver accents and an easy-to-read gauge cluster. An elegantly simple center stack contains an intuitive and easy-to-use interface. While the interior rewards the driver, the exterior rewards everyone else and stands out from its competitors with chiseled lines, a sweeping rear deck and an all-around aggressive stance. The Tucson starts at a very reasonable $18,995 and climbs to $28,695 fully loaded, including a wide list of impressive features. This puts it in league with the mainstream crossover crowd, such as the Honda CR-V ($21,545), Toyota RAV-4 ($21,675) and the Kia Sorento ($19,995). In a crowded field, the Tucson stands out. With the newly redesigned Tucson, like we’ve said before, you can finally start to see where Hyundai's billion-dollar-plus budget is going. In the past, where you would cross shop the Tucson with the RAV-4 and CR-V on price, this time, you can do it on style, comfort and features as well.